The following was posted July 22, 2018, regarding the phenomenon in today’s “news” and “intelligence” called “Q,” or “QAnon. Please read this again to begin this conversation. Fast forward now to today. Is this “Q” person real? If he is, who is he and where does he get his information? 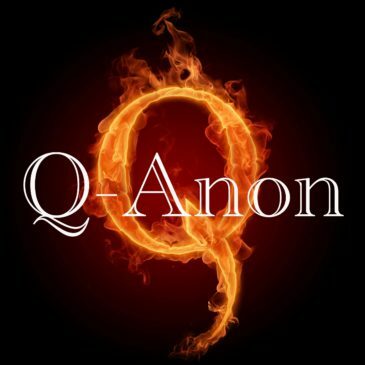 Why doesn’t the Mainstream Media even talk about Q? Since they do not, does that mean the information Q puts out is not real or not true? I am right there with you! But in the last few years, I have learned an important lesson about the Media: today’s Media is NOT the Media of the 1960s and 1970s. If you question that, reference the non-stop coverage of the President George H.W. Bush funeral. I was shocked to see network anchors continually make fun of President Trump EVEN WHEN THE GRANDSON OF PRESIDENT GEORGE H.W. BUSH HAD JUST FINISHED A EULOGY FOR HIS GRANDFATHER! Nothing matters to 95% of the Media other than garnering approval from their fawning public. And for many reasons, the American public in large part have simply determined that the New York Times, Washington Post, CNN, MSNBC, NBC News, CBS News, ABC News, and CNBC are the sources they will always turn to for “news in sound bytes.” And their “news” is no longer just facts. Their interpretive narrative is painted as truth — and on the most part, it is not. It’s simply THEIR narrative. Hundreds of thousands (if not millions) of Americans have discovered Q and are simply listening to what Q is saying as a perspective. I personally shudder to think any of what is coming from Q might be true. But since July 22, 2018 — the date I first introduced you to Q — much of what has been given to us has materialized or has been confirmed by other news sources. And nothing published by Q has been found to NOT be true. That tends to make one listen. To that end, here’s another message from “Q.” Please take a look and/or listen. At its completion, we’ll chat in Summary. There are so many things happening daily — especially in American politics, — that cannot be reasonably explained. There are far too many things that do not have reasonable or realistic explanations. It seems to me that something or some”things” are going on in the shadows that are instigating those unexplainable things. Is this a new instigator of world events on a world stage? Or is this something that has been going on in the shadows and we just did not see or hear about them? I’m beginning to think the latter is more believable than the former. We had Walter Cronkite, Roger Mudd, Harry Reasoner, Mike Wallace, and Peter Jennings for those decades of the ’60s, ’70s, ’80s, and ’90s. It is true we did not have satellite television, the internet, Facebook or Twitter. But those guys brought us the news, didn’t they? Or did they? To believe that back then the news was really the “truth” in news would mean everything that is being uncovered today just began to happen. But it is difficult to believe that all of the obvious corruption, lies, deceit, misrepresentations, coverups, and even murders just began to happen a few years ago. Is it not more realistic to accept that all those things — though maybe to a lesser degree — were going on all along and we just didn’t know about them? Does it not make more sense to believe that Cronkite and Company knew about all or much of these things but did not report them for the purpose of making certain the American public was in the dark about them? Enter the internet, satellite television, and talk radio. No matter what others think, this journalist is pretty certain that Rush Limbaugh, Sean Hannity, Bill O’Reilly, Breitbart News, and the host of other conservative journalists did not and do not have daily conference calls each morning to discuss the conservative conspiracy stories of the day. It is far more realistic to believe that evil has been and is alive in America that is simply being uncovered for the first time in our lifetimes. I am certain what has begun to be exposed almost daily has been there — maybe just bubbling under the surface — for a long time but has been disguised, hidden, and maybe even kept secret so Americans will not go crazy when seeing and hearing the truth about the garbage that has been buried in Washington D.C. by those who took an oath to serve and protect us. Here is the bottom line: we DON’T really know. And we have two choices: one is to continue walking down a road, ignoring the road signs posted in front of us as we go about our merry ways. Or, two, we can listen, watch, dig into those things we see and hear, and make decisions about truth armed with all the possible answers. At TruthNewsNet, I don’t think there’s an option. We are virtually certain there is much going on we do not see and therefore do not understand. That is NOT because we are stupid or blind or uncaring. And if it is because we do not want to learn the truth, we probably should not look at videos like that above (or listen to audio versions of such videos). Why? Because all they will do is scare us. But if we live as our parents taught us to live, we should push through the shadows of unknown certainties that are right in front of us, we with facts we will be able to investigate, discern what they mean, and what to do about them. I promise you that I am not sure about Q. I promise you that Q asks questions that I cannot answer. But I am committed to seeking answers to all those things and others that I do not know or understand today as they are revealed. I owe that to my family, my friends, and I certainly owe it to you. We may disagree on the “probabilities” I deduce and share. We may disagree on hypotheticals that come up in our continued search for the truth. But for certain, we will look at all the possibilities we can garner to get the answers to the toughest questions in our lives. Not knowing answers does not mean one is stupid. Not knowing answers and then doing nothing to find those answers means one is stupid. Dan, I liked the Q video but it ran so fast an 87 year old couldn’t listen that fast. 🙂 Seriously, I would like to know what all they were saying. I got pieces of it and I liked it. John: I apologize for the delivery message by the narrator in the video. We do not have the script of the video. I don’t want you to lose the content. I suggest you watch it several times. It’s not lengthy so that should not be a problem for you. Thanks for taking the time to watch and digest it! Thanks as always for giving to others what is the story within the story. As Q said, this truth, this information, it is yours to know. My greatest fear is so many are asleep and those that are awake really don’t want to know.But, by all means, keep the Red pills 💊 coming!